Does your company have to incorporate corporate social responsibility in its business model? Apart from boosting your potential sales, community involvement provides a networking platform through the interaction you have with the community. Thus, it makes sense for a business to integrate community outreach programs in an attempt to spike their growth. Contrary to what most business owners believe, giving back to the community is not a “large-corporate only” affair. Small businesses, despite their limitation in resources, can also interact with their local community. Here are 10 smart community involvement ideas to help you increase the awareness of your brand. Getting involved in voluntary schemes is one of the most common community outreach ideas for businesses. Besides being inexpensive, volunteer work shows that you’re willing to be part of something bigger than your business. It can be as simple as organizing annual family fun day activities, teaching a class, or cleaning the local park. No matter the activity you choose, make sure it’s aligned with your company’s values. For instance, if you’re a health-based company, consider teaching the community on the best health practices for free. Sometimes all you have to do is pitch your tent at a local block party or cultural festival to improve your community involvement. This saves you from all the stress that comes with planning an event and can also be a viable option if you’re on a budget. To increase your visibility, you can hold fun games and offer gifts to people at the event. Also, ensure your employees are spread evenly across the party to answer any questions about your products or services. Donating involves responding to the needs of the society in terms of monetary needs or just resources. In turn, the community values your company by how much you’ve improved their lives through the donations. For instance, you can donate some of your unused computers to a local library. Or, give some funds to a charity event. Your knowledge and experiences in your field of business is also a valuable resource that you may want to share. Consequently, you’ll demonstrate your business expertise and your company will be the ‘go-to’ place. Sponsoring local events is one of the most underutilized corporate community outreach ideas, due to the high costs associated with it. Nonetheless, partnering with local organizations in their events doesn’t have to translate to spending loads of cash. You can simply buy uniforms for local sports teams and be there to cheer for them on their match day. This might not seem like much, but it means a lot to the players and the community. You can partner with a local business by running promotions together or buying their goods and leaving reviews on their website. However, it’s recommended that you partner with a non-competing company who targets the same demographic as you. For instance, if you run a coffee shop, you can run promotions with a local bakery store to help you reach more people. Corporate outreach doesn’t only mean giving resources to the community. You can as well be on the receiving end and still connect with the people. If you need help with new product ideas or designing your next TV commercial, hold auditions to find local talent. You can also outsource skills from a local college and offer internships to the students. For example, this website sources its talent from its local community. Although this may not involve everyone, it empowers the lives of families in the community. Apart from having fun, the holiday season is also a time to share. This is a perfect opportunity to get involved with the community. You can give out gifts and giveaways or visit the local children’s home. Holding contests on holidays also blends the fun and the sharing mood of the holiday season. Additionally, you can send out simple holiday messages to help strengthen your presence in the community. Inviting the community’s participation on tasks such as collecting litter or a neighborhood watch program, shows that you’re concerned with the well-being of the people. Apart from participating, your company can offer the needed supplies to accomplish the task. For instance, if it’s a cleaning program, you can offer trash bins and sweeping brooms. As a business owner, it’s possible to run out of ideas on how to interact with the community. But, you don’t have to stress about it alone, you can make good use of your employees. Hold a meeting and ask what your employees are interested in or the changes they would love to see in the community. Then, based on their answers, design initiatives to help them bring the changes or exploit their interests with opportunities to give back. In this way, you’ll not only increase your employees’ participation but also leave a positive impact on the community. In every community, there never lacks upcoming businesses trying to hit their next milestone. By using your resources and experience as an established business, you can organize educational events to mentor the young entrepreneurs. By doing this, you help the local businesses thrive and foster networking opportunities with new business owners. 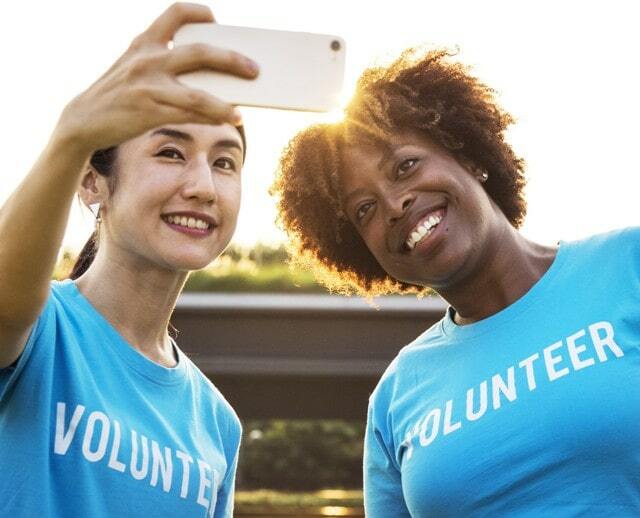 These community involvement ideas are a great way for companies to market their products while improving people’s lives. They’ll also help you connect with your customer base and understand their needs at a more personal level. For more educative articles that’ll help you revamp your business skills, check out our entrepreneurship page. I hope you enjoyed this blog post about the top 10 community involvement ideas for businesses to give back and engage with locals. Interested in more articles about businesses supporting community?